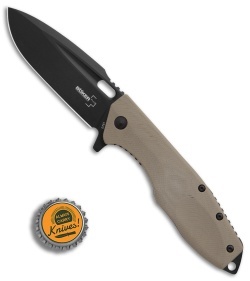 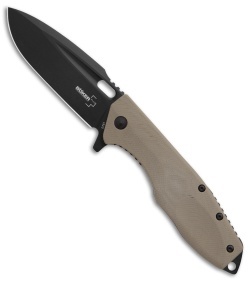 This Caracal model sports a brown G-10 handle and a black finished drop point blade. The Boker Plus Caracal flipper offers a modern, rugged design from Boris Manasherov. This folding model applies the comfortable ergonomics of the Caracal fixed blade to a convenient EDC platform. 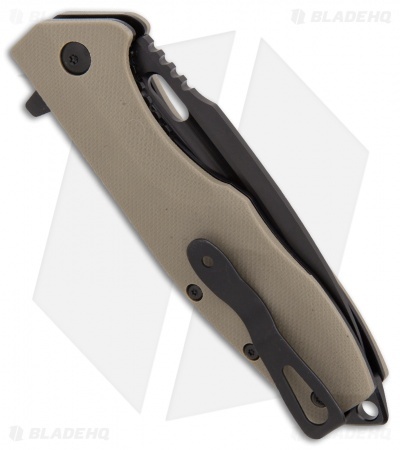 The Caracal Folder features quick flipping action and solid, dependable lockup. 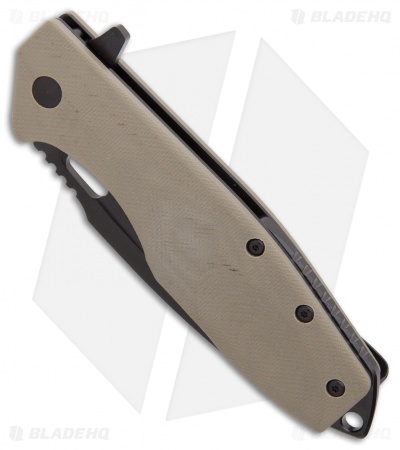 Includes a reversible deep carry pocket clip for right or left handed tip-up carry. Ball bearing pivot provides effortless blade deployment. 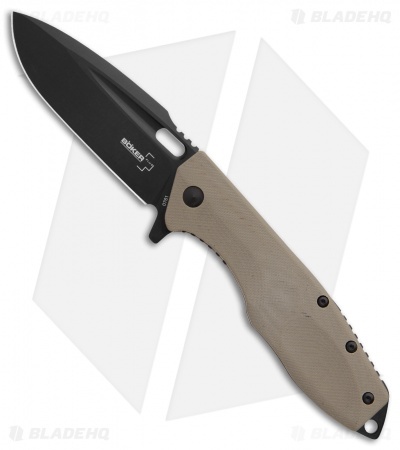 D2 tool steel construction offers a strong, durable blade. G-10 handle scales for a reliable all-conditions grip.